It seems like a long time ago now, but at the beginning of the year, club members were asked to fill in a series of questions in a club survey. This is the third year that we have asked our members to put their views forward and the involvement of our members continues to increase year on year. Last year we had 118 responses. This year, we had 156 responses and again received some fantastic feedback and suggestions. 1. To solicit suggestions from its membership in order to define the targets for the committee for the following year. The first aspect is of prime importance to the committee. We want to ensure that as much as possible, we are taking the views and priorities of the membership into consideration. These suggestions form the basis of the committees annual targets. It’s not easy to address them all, particularly as all the committee have lives outside the club as well, and we only meet once a month to discuss and define our actions, but we sincerely thank the membership for their input in the form of these responses and also hope that we can, with your help, continue to progress with the clubs development over the coming year. The first part of the survey focused on suggestions to improve the club. A number of aspects were highlighted by members for improvement. The committee were keen to assess all the suggestions and focus on some which could provide ‘quick wins’ while others would require more consideration and work. Several actions have already been taken and more will follow during the year. 1. We are reforming the role and structure of the club captains. Rather than the traditional men’s and women’s captains, there will be captains for each aspect of the clubs running, specifically, cross country, road and fell. Also, the captain will represent a specific discipline for both men and women. The role will be voluntary and captains need not necessarily be members of the committee. We are exceptionally pleased to introduce your new club captains. It was very pleasing to have received a number of requests for volunteering opportunities within the club. We have already benefitted from a number of club members giving up their time to marshal at the recent Manchester Marathon. The next opportunity for members to contribute will be for the club organised race at Worden Park. There will be a marshal run announced very shortly. Watch out for information via Facebook. Members commented regarding the choice of races for the club competitions. We would like to remind members that they may suggest races at any time in the year and all suggestions are considered by the race committee in November. The interest from the survey has resulted in Red Rose becoming affiliated with British Triathlon which gives our members discounted individual membership of British Triathlon if they wish to take advantage of it. The club has also decided to make a significant investment in our juniors. We want Red Rose juniors to be able to compete in the Lancashire County Sportshall League. The aim of SPORTSHALL ATHLETICS is to introduce children to the joys of athletics within the sportshall environment. It provides the opportunity for young people to try running, jumping and throwing activities as their first steps into athletics. Taking part introduces them to the thrill of Track and Field events in a safe, warm and dry environment. The Red Rose committee has agreed to invest more than £1,300 on a set of equipment specifically for junior training including batons, Reversa boards, speed bounce mats, balance beams and soft javelins which will transform the junior training activities and prepare them for the sportshall athletics later in the year. 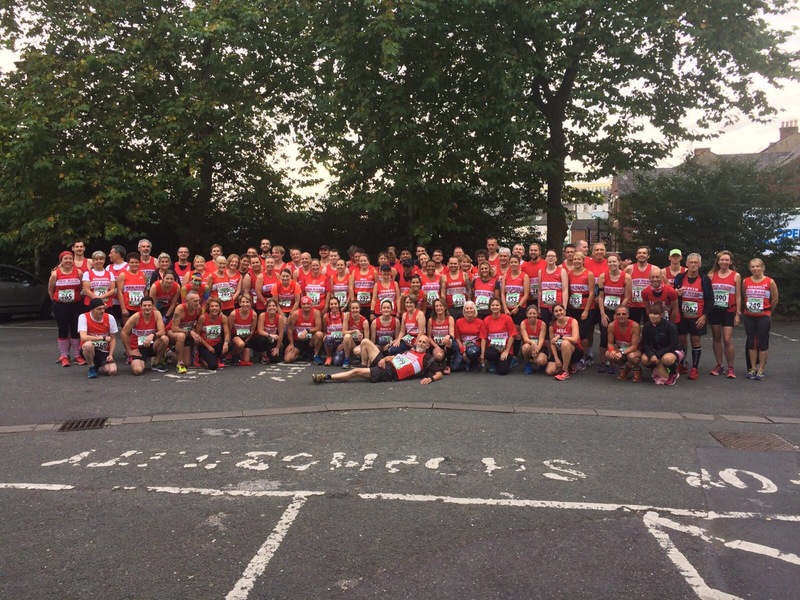 As always, our members are a sociable lot and you always want more events and organised travel opportunities, so the committee responded by organising a coach to the Ulverston cross country as the first opportunity to support club members travel. We will work on other opportunities over the year. We were also very impressed with the willingness of our members to help out and provide their expertise to the club. As a result of this, we have already held one first aid session for club members and more will be held soon. There are a number of other targets which our members have set us and we will be working on these over the rest of the year. We’ll let you know about progress as soon as we can. So thankyou once again for your input into the survey and your views, ideas and requests as we continue to develop this club that we all love.